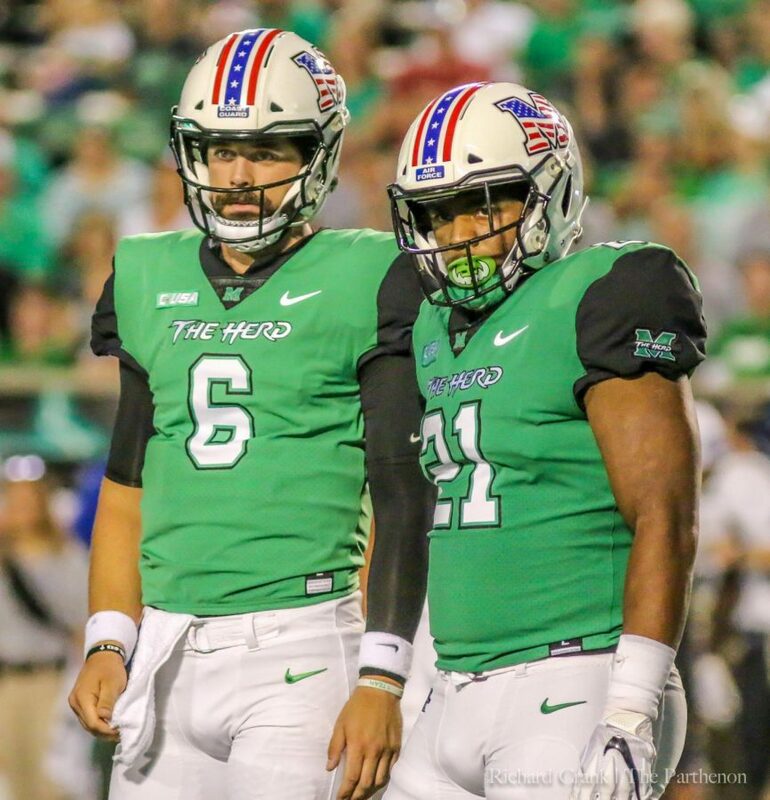 Quarterback Alex Thomson and running back Anthony Anderson look towards the sideline for a play call during Marshall's 34-24 loss to Middle Tennessee. 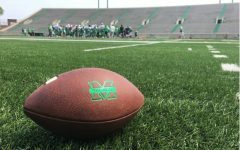 Middle Tennessee’s football team scored 24 unanswered second half points Friday in Marshall’s 34-24 loss at Joan C. Edwards Stadium. 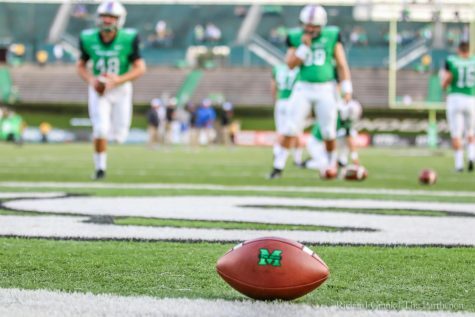 With the win, MTSU improved to 3-2 (2-0 Conference USA) and collected its first-ever win at Marshall. 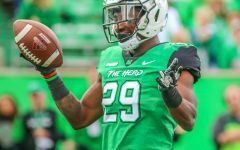 The Herd’s record moved to 3-2 (1-1 C-USA). 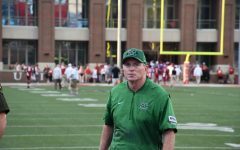 Marshall head coach Doc Holliday looks to see the team get better. MTSU took an 3-0 lead in the first quarter off a 34-yard field goal by redshirt sophomore kicker Crews Holt. In the second quarter, MTSU’s redshirt senior quarterback Brent Stockstill fumbled as a result of a sack. 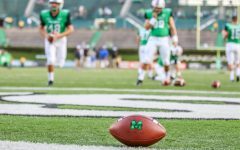 The ball was recovered by Marshall redshirt senior linebacker Frankie Hernandez. 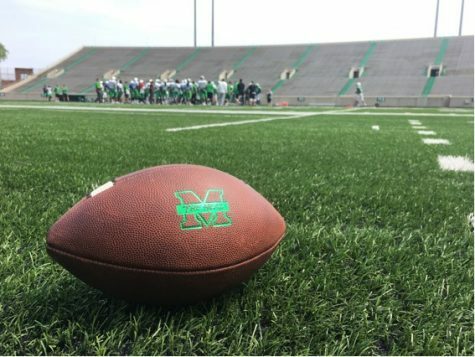 Marshall then drove down the field using nine plays before redshirt junior kicker Justin Rohrwasser kicked a 33-yard field goal and tied the score at 3 with 2:14 left in the first quarter. 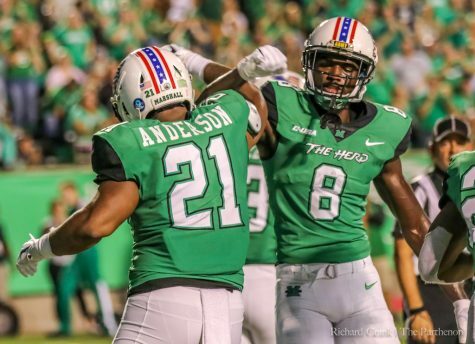 Early in the second quarter, Marshall redshirt senior running back Anthony Anderson gave the Herd its first lead of the game with a one-yard run into the end zone. 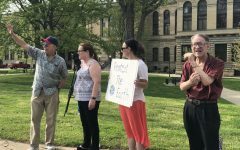 After the extra point, Marshall led 10-3. MTSU responded, though, off a touchdown of its own with 1:09 remaining in the first half. 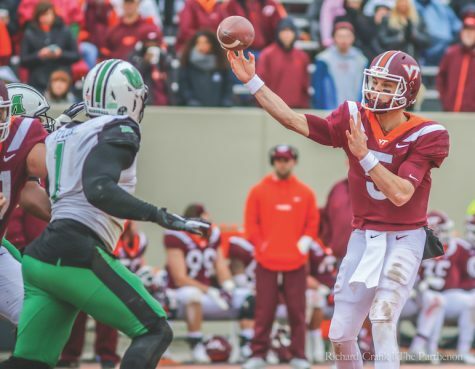 Stockstill’s five-yard touchdown run, followed by a Holt extra point, tied the game at 10. 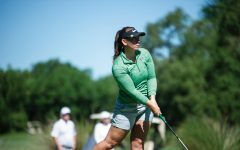 Holliday credits Stockstill for his competitiveness. 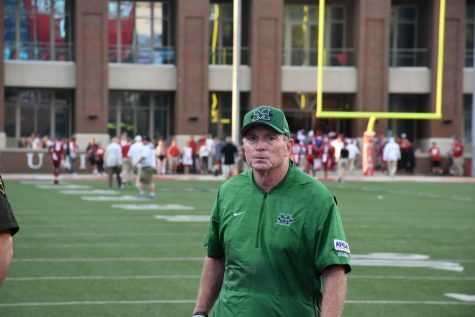 Marshall quickly answered MTSU’s tie late in the first half. The Herd produced an eight-play, 66-yard touchdown drive to take the lead. The 54-second drive was capped by redshirt junior tight end Armani Levias’ 11-yard reception in the end zone. 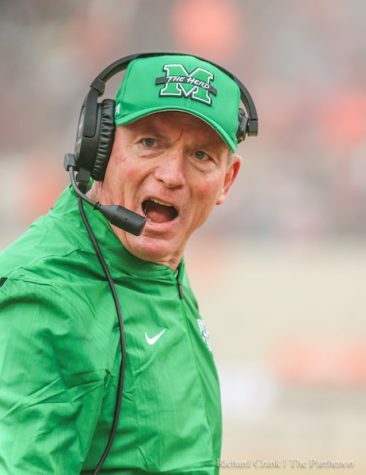 After the extra point, Marshall took a 17-10 lead into halftime. 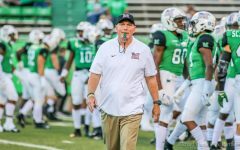 In the second half, MTSU made adjustments on both sides of the ball and outscored the Herd 24-7 on its way to a 10-point victory. In the third quarter, MTSU tied the game at 17 when redshirt senior wide receiver Patrick Smith caught a two-yard touchdown pass from Stockstill. 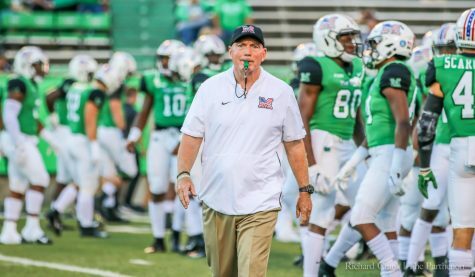 Marshall’s ensuing drive resulted in a fourth down punt that was eventually costly for the Herd. The punt led to an MTSU scoring drive featuring an 8-yard touchdown run by senior running back Tavares Thomas. MTSU established a 34-17 lead. MTSU cushioned its lead with another Thomas touchdown. The touchdown was a result of Stockstill’s 18-yard passing touchdown and after Holt’s extra point, MTSU established a 31-17 lead. MTSU capped its 24-0 run with a field goal that gave the Blue Raiders a 34-17 lead—its largest of the game. 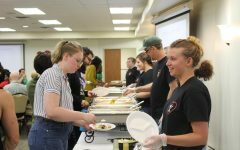 Marshall attempted a comeback, though, as junior wide receiver Obi Obialo scored on a 10-yard touchdown reception from Thomson in the fourth quarter. 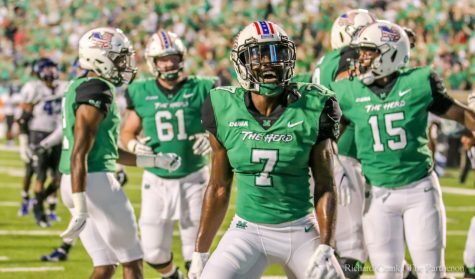 The Herd cut MTSU’s lead to 10 but it wasn’t enough. 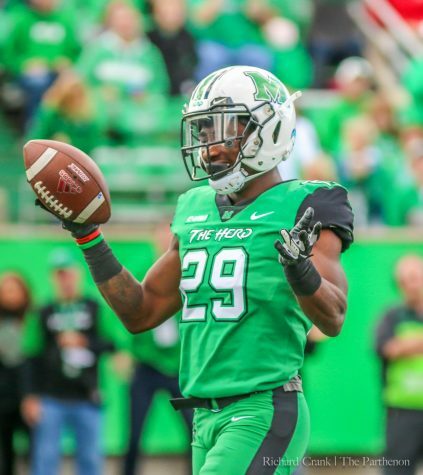 Despite the loss, Marshall’s redshirt sophomore running back Tyler King rushed for a career-high of 165 yards and surpassed his previous record of 129 yards in last season’s matchup against Middle Tennessee. 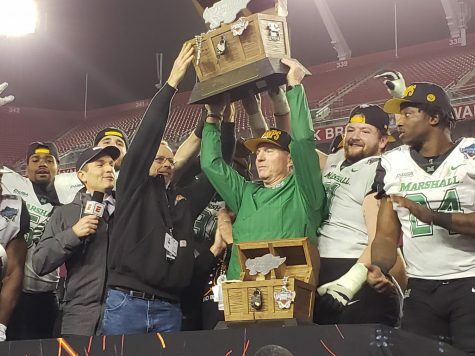 The Herd will travel to ODU next week for its 3:30 p.m. matchup against the Monarchs.